Switzerland is one of the most beautiful countries in the world and my personal favorite. I am not sure how many months I have spent in Switzerland so far – but it must have been more than six months in the past 10 years. Once you have seen the gorgeous lakes, stunning scenery, and lovely cities and towns, you’ll know why. 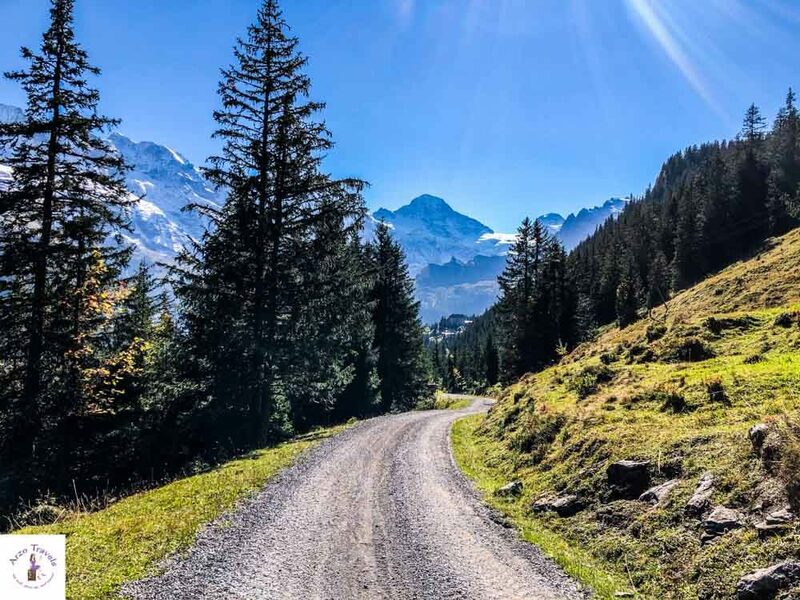 This country draws a lot of visitors because of its natural beauty, and if you’re a first time visitor to Switzerland you should know a few things. 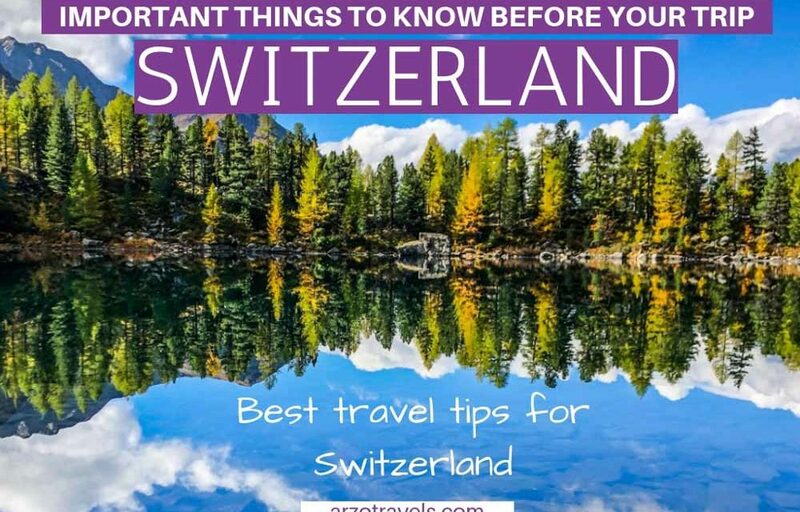 This post will offer some important travel tips for Switzerland and things you need to know before visiting Switzerland. 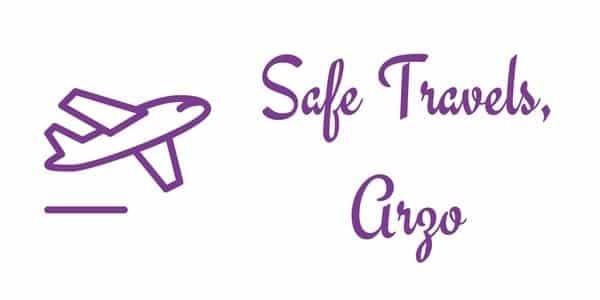 I hope this information will help you make the most of your trip. In Switzerland, there are four official languages. In the northern and eastern parts of the country, they speak Swiss German. In Geneva, Montreux (let´s say around Lake Geneva and the western part of the country), it’s French. Italian is spoken in the southern part, like Lugano. Romanian is only spoken by a very few. Some dialects are used in certain areas, but they are not official languages of the country. Basic English is spoken by many people in Switzerland in touristy areas, so you can get around on English alone. The Swiss are more reserved than other Europeans. They are not very outgoing, but they are friendly and polite; just not warm and welcoming. You will find, however, that they are friendlier in the Italian part, and in contrast, more reserved in the French part (that is my impression and reflects a bit what I have experienced in Italy and France). So, don’t worry if people are short-spoken, that’s just how they are. They also don’t like confrontations and will expect you to criticize politely and not be overly direct. When it comes to the best time to visit Switzerland, the answer is any time! 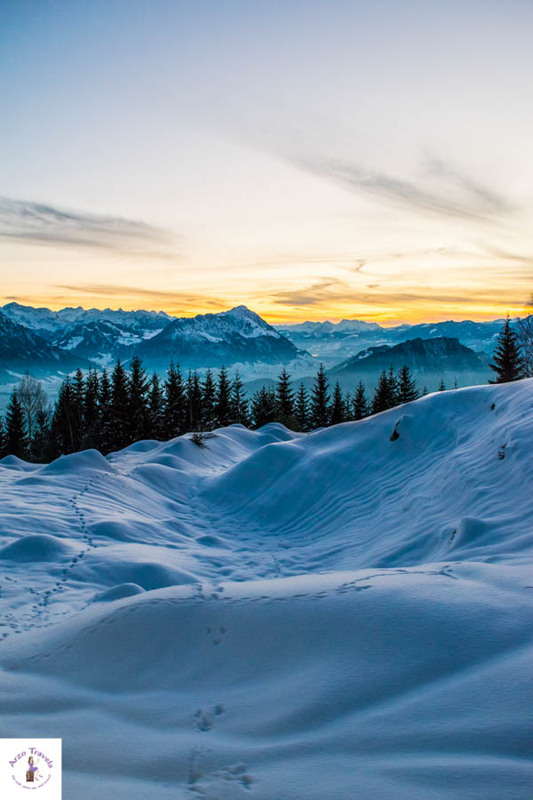 Even if you are not into winter sports, I am pretty certain you will be amazed by the scenery – whether you visit Verbier, Graubünden or the Jungfrau region – it is beyond beautiful (here are some of my favorite images I took from Switzerland in the winter). In the summer, hiking and visiting the lakes and cities are the things to do. I advise visiting in May, June, or September and early October because prices are lower and it’s not as crowded at popular tourist spots, like Interlaken. I have stopped relying on seasons – I have head terrible weather with heavy rains in the summer months (July and August) and great weather in October. So, while seasons can give you tendency weather is not really predictable. If you’re not flexible, anytime will work, but May, June, or September are the best to visit and January and February for winter sports (and the first few weeks of December for the Chritmas Markets). 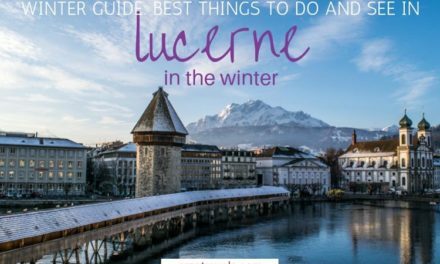 If you visit Switzerland in spring, summer or fall check out my “Best things to do in Switzerland” post. The weather in Switzerland can be very moody. In the summer, there can be weeks of bad weather at a time, where it is raining every day. Once, I visited in October though and had lovely, warm, sunny days. You just can’t rely on the weather here. But typically, July and August are the hottest months. The Italian-speaking area in the south is hotter than the rest of the country most of the time. Winter usually starts in November and the winter season can last up to April in some region. Switzerland has the best public transportation ever – I mean seriously, it is just amazing!. It’s clean, on time, reliable – everything you could ask for. There are lots of stops everywhere, and it’s very well-connected. And let´s not forget to mention the most scenic train routes. I am a fan! And the best: It is fun in the summer as well as in the winter months. 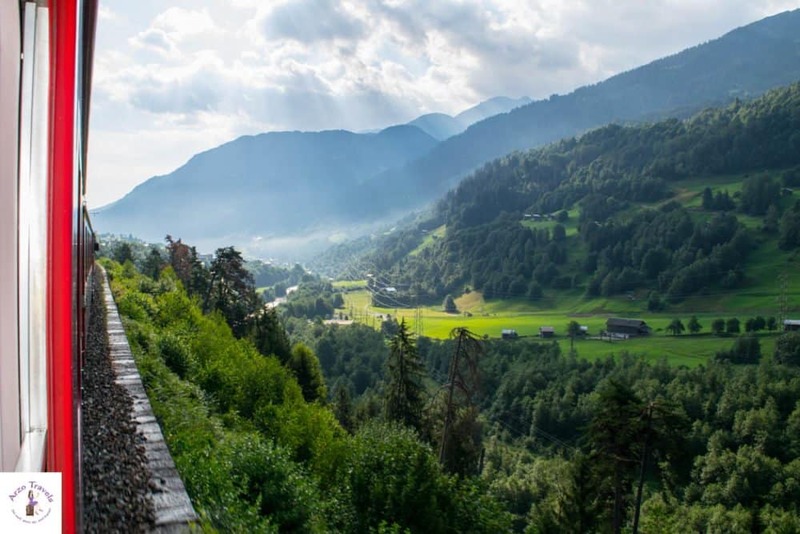 Train travel in Switzerland can be the most beautiful you can experience, but make sure you ask for the scenic trains (called express trains) so that you have the best scenery. The trains can be expensive, but because they are on time and provide such great scenery as you travel, they are worth it. The express trains are normally the slow trains – though the expression might be confusing. However, the express trains are the most scenic and amazing routes you can imagine. Some of my favorites: Bernina Express (OMG! ), Gotthard Express and Glacier Express. Driving in Switzerland can be quite fun. I’m not a fan of driving in Italy because the drivers there are reckless, but in Switzerland, it is another story. There are well-paved streets, freeways, and mountain roads that are narrow, but fine to drive on. In the Italian and French areas, motorists are a bit more reckless than in the rest of the country but better than those in many other parts of the world. Do not speed – speeding is expensive in Switzerland (as is illegal parking) and other wrongdoing. You will need to buy a toll sticker if you want to use the highways. 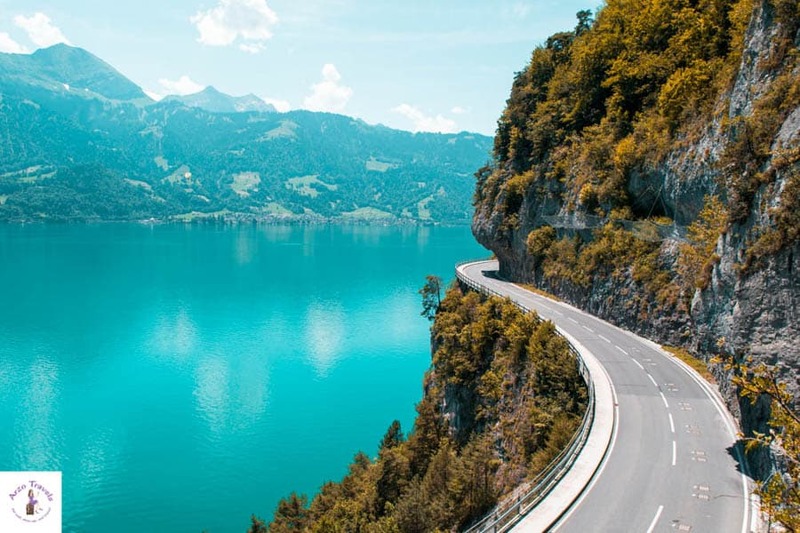 They cost about $40 for a year (unfortunately, you can’t get them for less than a year, but they are normally included if you get a rental car) and if I had to name the best place for road tripping than it would be Switzerland! The Swiss people generally dress up more than those in other countries, especially in the Italian part. And while it’s not the fashion hotspot, people dress well and wear luxury brands often. Consider wearing comfortable, but stylish, shoes while in Switzerland. You’ll probably be walking a lot, but don’t want to feel like you’re dressed too casually. In rural areas, it is, of course, a bit different and you might easily feel overdressed when dressing up. Electricity in Switzerland is the same as that in Germany, 230 volts. Although I did have trouble with my laptop charger not fitting in the socket, but that might have been because the Swiss use a J socket, while in Germany, they use an F. If you are coming from the US or another country with a different voltage, remember to pack an adapter as your chargers will not work on their own. I have to say, that traveling in Switzerland feels amazing – it is safe whether you travel solo or with children or with whomever. 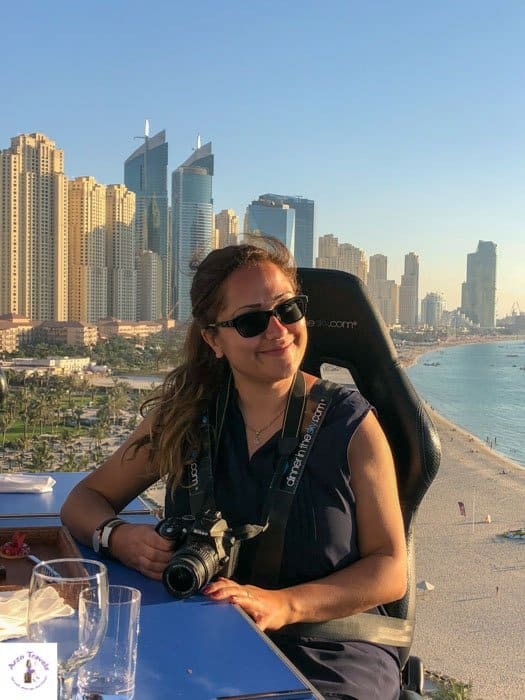 The crime rate in Switzerland is quite low – which means, I am not like a paranoid (yes, sometimes I act like a crazy paranoid person) and do not feel bad when wearing luxury brands. I am also not scared of walking alone at night (which I do not do in some travel destinations) nor do I fear that my car gets stolen. Actually, I have even lost my wallet once and at another time my little MacBook – yes, I am so stupid. I lost both in a train. And I got it back both time. Of course, always exercise common sense but I go as far as saying, that Switzerland is one of the safest places in Europe – maybe even in the world! Clean water is a human right and while some Swiss companies disagree and exploit water supplies in other countries, Switzerland is perfect for those loving natural water. 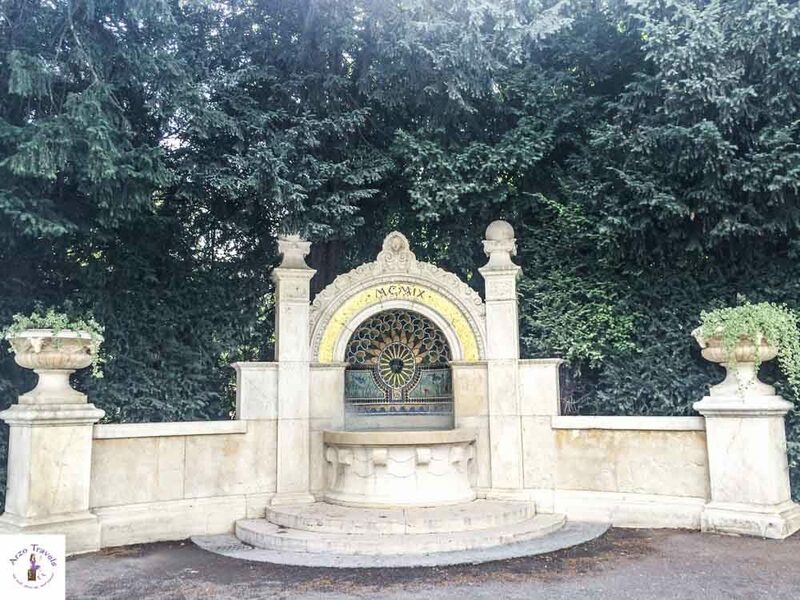 You can drink the water from the taps in Switzerland – it is totally fine. But my best tip is to always have an empty bottle with you to refill with fresh mountain water. It’s free, tastier than tap or bottled water, better for the environment, and one of the few things you can save money on in Switzerland. There is no getting around it – Switzerland is one of the most expensive countries in the world. If you are trying to save money though, I have a post on how to do Switzerland on a budget that you can check out. It will never be a cheap destination, but it is definitely worth visiting. The currency is Swiss Frank (which is about 1:1 to US $) and 9€ is about 10 Swiss Frank (March 2019). Everything but water is expensive in Switzerland. Food in Switzerland is pricey, too, especially the meat and dairy because the animals are free-range. I have heard that McDonald’s menu items can cost about 20€, but the veggie menu items are about 12-13€. In restaurants, the cheapest plate is typically about 20 euros. A generic cappuccino is 4,5- 5,5€uro (and this is cheap coffee, not Starbucks). A scoop of ice cream will cost you about 3 euros in many parts of the country. Here are my tips on how to save money in Switzerland. The currency of Switzerland is the Swiss Franc, which is currently about equal value to the $. I always recommend having some cash (and coins) – for parking e.g. Some smaller shops (or in rural areas) credit cards are not always accepted. And, unfortunately, American Express is not as widely accepted as Visa or MasterCard. Tipping in Switzerland is not expected, but you can if you want, like in the hotels, taxis, etc. The minimum wage (about $23 an hour) is very good, and so it is not really a must. Switzerland is wine country, so don’t be surprised to see a lot of vineyards. Sometimes you might stumble upon a cute village and find some vineyards behind that village or town. However, most can be found in the southern/eastern part of the country, close to the border of Italy, and also near Lake Geneva. The most widely planted grape in Switzerland is the Chasselas. While Swiss wine is not as famous as Italian or French, they do produce some lovely reds and whites that you can try while you’re here. 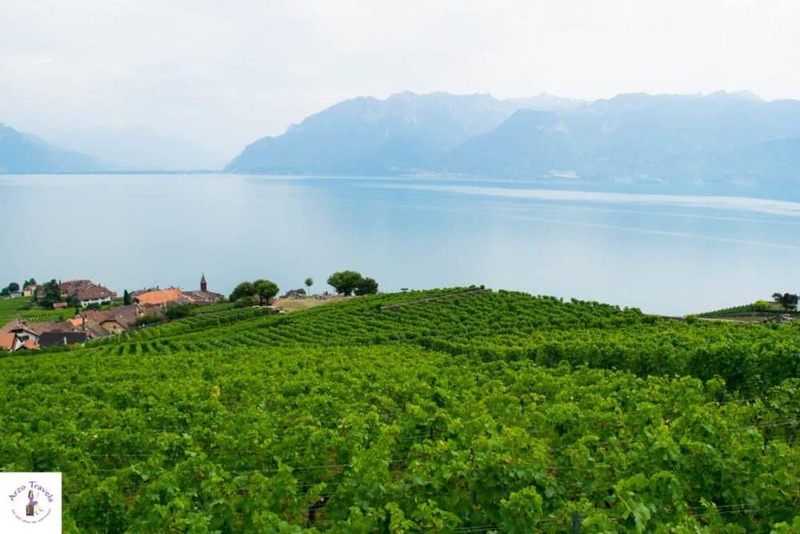 Find about the famous vineyards at Lake Geneva and read my Montreux itinerary. The Swiss love their meat, despite the price, and have a lot of meat and cheese in their diet. The quality of food in Switzerland is good. However, if you are a vegan or vegetarian, you may have a hard time. I sometimes book an Airbnb just so I can cook my own food. In Zurich, you’ll be pleasantly surprised to find a great variety of vegetarian and vegan restaurants. While the quality of the food is high, you may also be surprised that the Swiss use a lot of MSG, even placing some on the tables at restaurants (however, I have noticed this more in rural areas). Since Switzerland is such a popular place to visit, there are a lot of tourist attractions that gather crowds. 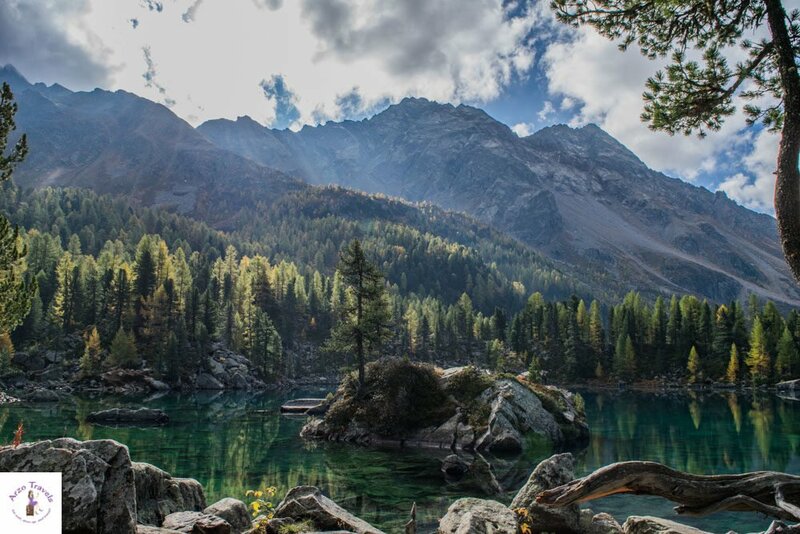 But there are still some hidden gems that you can see, if you’re willing to look a little deeper for them, like Flims and Susten Pass or Valposchiavo. Of course, how could it be any different, I have a post on my favorite hidden gems in Switzerland. Most areas in Switzerland charge a tax, usually 1-3 € a day which is not always included when you book your hotel. Some also provide you with a city guest card, which is great because it allows you to use public transportation within the city for free. The standard in Switzerland is not bad, but many 3 and even 4star hotels are old-fashioned (and I do not mean the cute chalets). So, if you prefer brighter or modern accommodations, read the descriptions carefully. Of course, Switzerland is also home to some amazing hotels as well as hostels. Airbnb is also quite common (though, if not an official accommodation you might not get a guest card which could help you saving money). Switzerland is very dog-friendly, with lots of outdoor places. Dogs love it (I just guess so) and it’s a lot of fun to take them along. There are plenty of plastic bags conveniently provided for clean-up, and many restaurants and hotels allow you to bring dogs in. However, you cannot take dogs into museums or some other places (even if you carry them in a bag). If your dog is small and fits in a bag it can even travel for free in public transportation – if it isn’t in a bag, it will need a ticket (children ticket – which is about 50% of the regular price). However, make sure that you check with the hotel you are staying at as to the amount of the pet fee ahead of time. They usually don’t mention it and you don’t want to be surprised when you get your final bill (highest rate for my little dog – $30…for one night!). So far, I have not gone to Switzerland with kids, though my nephew keeps asking to go with me. But if you are traveling with children, there are lots of parks, playgrounds, and outdoor trails here. The lakes, train rides, and cable cars, not to mention the activities, should keep them busy. I also recommend the open air museum in Ballenberg as a fun place for kids. Many activities with kids do not cost much (hiking and other outdoor activities). Most of the time you have to pay 50% of the regular prices for children. Would I go to Switzerland with children? Definitely. I am sure teenagers prefer cities more than hiking, but younger kids (and of course the adults) will love Switzerland. The Swiss love to hike. You will see tourists taking the cable cars up while the locals hike to the top, even the older ones. The Swiss often spend their weekend’s hiking. Hiking seems to be the national activity of Switzerland. Wear comfortable shoes or hiking boots for your hikes, and enjoy the lovely scenery. 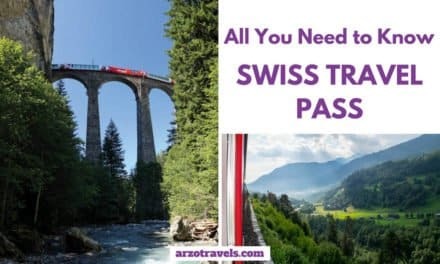 I hope that these tips for what you should know before visiting Switzerland make your trip even more exciting and fun. 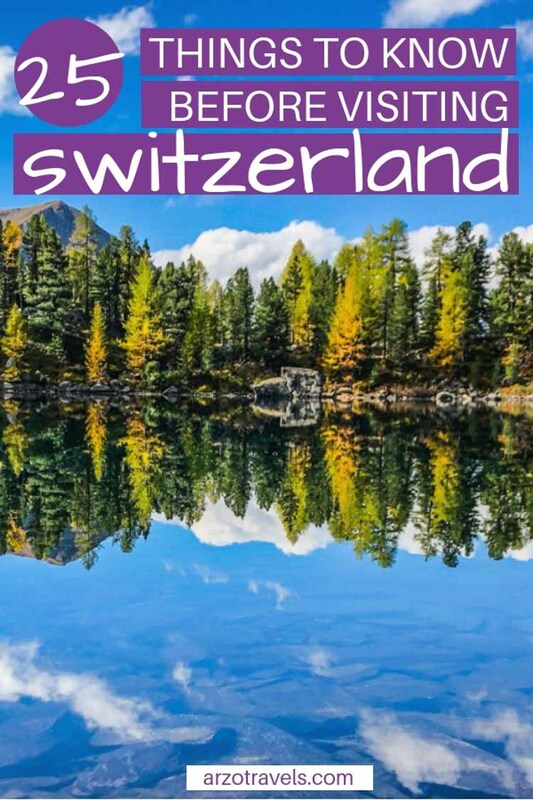 Switzerland is one of the best places to visit in Europe and you’ll no doubt have an amazing experience with these travel tips for Switzerland. 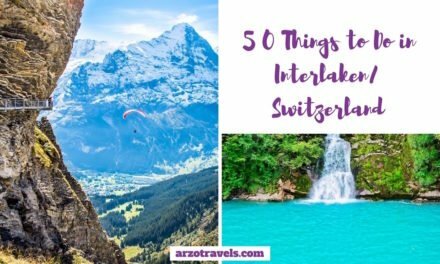 Here are my favorite places to visit in Switzerland (yes, it is a quite lengthy post but Switzerland has so many gorgeous places to see). You want to visit Switzerland and Austria in 10 days? 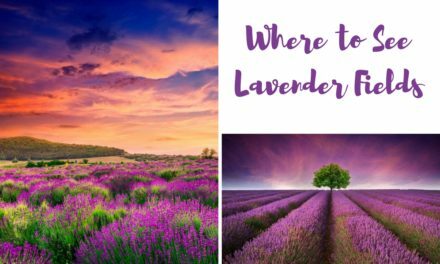 Then check out my itinerary – Switzerland and Austria in 7-10 days.